Users are members of your organization or team who have access to Help Scout. This article talks about managing User accounts in Help Scout. 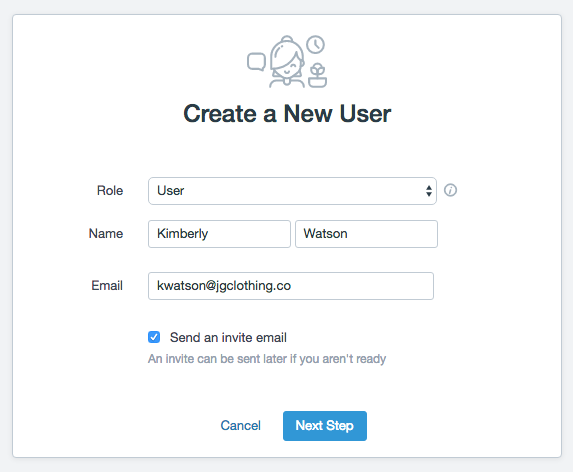 As an administrator, you can add new Users to your account from Manage → Users. Fill in basic profile information and set the appropriate role. If the Send an invite email box is checked, the User will receive a welcome email to complete the registration process. Click on the blue Next Step button. 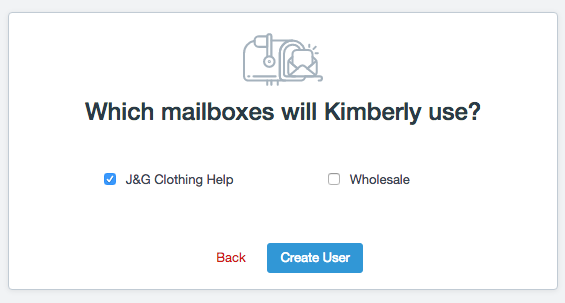 On the next prompt, choose the mailboxes the User should have access to. If they're an Administrator, they will have access to all mailboxes by default. Click the Create User button to create the account. All previous replies and notes added to conversations remain in place. Any workflows created by that User will not be affected. Conversations that are assigned to the User will automatically become unassigned. Status values will not change for any conversations that the User has touched. Head over to Manage → Users and click on the User you'd like to delete. Click on the Delete user link located at the bottom of the page. Type DELETE in the pop-up field that appears and click the red checkmark to confirm. If the User you're deleting has assigned conversations, we recommend running a Workflow to re-assign any conversations assigned to that User to another User on your team before removing them. There's no way to do this after the User has been removed. Administrators in Help Scout are unable to manually reset User passwords. You can send the User a password reset email from Manage → Users. Click on the desired User tile, then click the Re-send invite email link at the bottom of the page. Can I deactivate a User if they will be out for a while? There isn't a way to deactivate a User, but if you have team member who will be away for over a month, delete the User normally and send us an email when they need to be reactivated.